From I-95, exit at Forest Hill Boulevard and head west. The entrance to Okeeheelee Park is located between Jog Road and the Turnpike overpass on the north side. Turn into the park and continue straight. 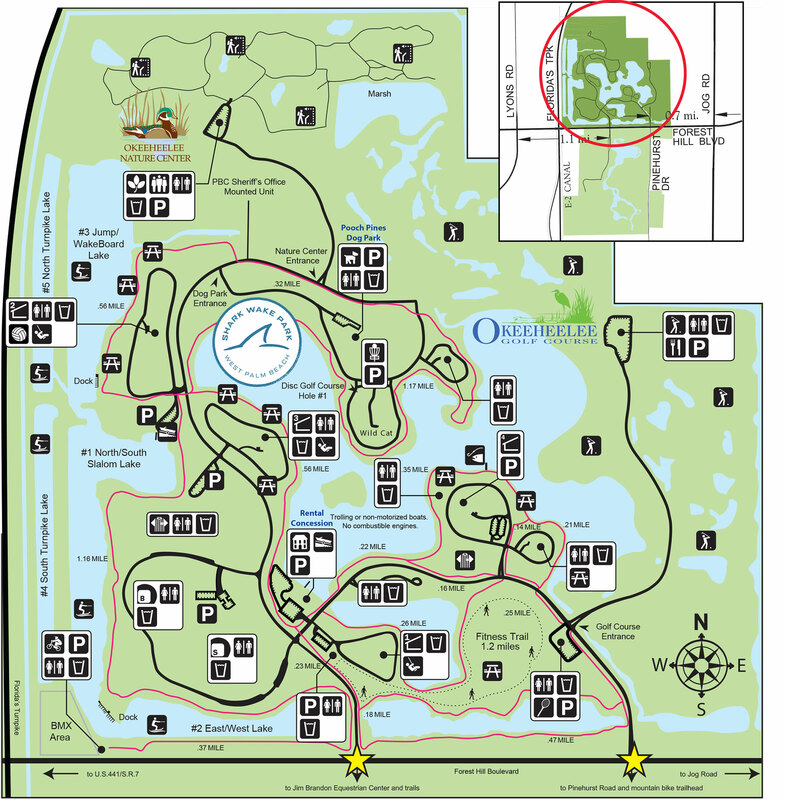 The entrance to the Aqua Park is just past the entrance to Pooch Pines Dog Park on the right side of the road. You will see the Aqua Park in the lake, park in the spaces available near the booking and registration tents. From U.S. Highway 441, head east on Forest Hill Boulevard. The entrance to Okeeheelee Park is located between the Turnpike overpass and Jog Road on the north side.